I used to wear a watch all the time. I had a Fossil watch so it wasn’t a luxury brand, but it wasn’t a bargain brand either. When I lost weight, the watch no longer fit and would need links removed to make it fit again. I waited so long to get the appropriate tools to remove the link that the battery died. I was unable to open the back to replace the battery, so I continued to go on without a watch. 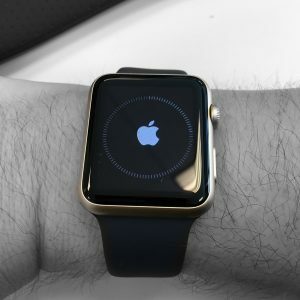 In the fall of 2014 Apple announced their latest gadget, the Apple Watch. I was skeptical, a watch is such a mundane accessory, what could possibly be cool about a watch. By the end of the demonstration I knew I would definitely use the Apple Watch. There was no doubt in my mind. Alas, the frugal part of me knew that I could not, and would not, pay the $400 price tag for a watch. A little over 8 weeks ago, I was shocked to find an amazing, and rare deal on Apple Watches at Micro Center. After combining coupons and price matching, I saved about $150 on an Apple Watch. I knew that Apple will likely be releasing Apple Watch 2 this fall, but I didn’t care. I was more willing to pay $250 now rather than wait to see what I wouldn’t be buying in September. Granted $250 is still a pretty hefty price tag for a watch. I did some budgeting and some math and slept on it a few nights before I pulled the trigger on it. 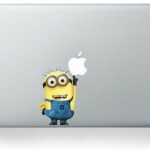 It was probably still a frivolous, luxury commodity, but most Apple products are. There are two things that have really stood out after having bought and used an Apple Watch for about two months now. First, I use it a lot more than I thought I would. At first I was honestly worried that I may have just spent frivolously but the more things I discovered I can do the happier I became with the purchase. I think the most telltale sign was the fact that I only take it off when I’m going to bed. When I was wearing a normal watch, I would always take it off after I came home from work and I rarely wore it on the weekends. Now its the first thing I put on every morning. It’s nice that I don’t have to take my phone with me any time I want to sit somewhere else in the room or go into an adjoining room. My watch can tell me if I have any messages or email I need to check, as long as I stay within Bluetooth range of my phone. I can even reply to text messages, if the reply doesn’t require an extensive response. I can quickly glance at sports scores, check the weather, control music, even access our smart home modules. I’m sure I have barely tapped the surface of what I can do. It is important to note though, that the more notifications you send to your watch the more it eats up its battery. On the other hand (no pun intended), I don’t have to use my phone as much for menial tasks like checking the time or a text message which saves the battery on my phone. The second, and probably most peculiar, everyone thought I would be giving up my Fitbit now that I have an Apple Watch. 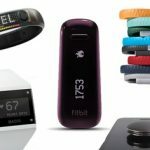 I have been a loyal Fitbit user for over three years (i.e. 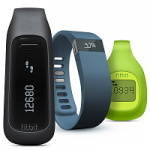 I was using Fitbit before Fitbit was cool), a mere watch was not going to tarnish that relationship. Second, its alarming that people automatically associate an Apple Watch with fitness and health. Apple should be concerned about how they are marketing the watch if that’s what people are primarily using it for (which is simply ludicrous). Also, I don’t really like the Activity app on the watch. I find the Fitbit app on my phone much easier to use for tracking my exercises and, of course, participating in challenges with my friends. My intention was never to replace my Fitbit with the Apple Watch, they serve their own purposes, independently. So, despite my initial concerns, I am more than thrilled with the Apple Watch and I highly recommend it to anyone who has already invested in the Apple family of products.